DIANE GLENN has spent her entire adult career working in the construction industry. Starting her career working for residential construction firms, commercial builders and heavy construction firms, she then opened her own successful residential construction company in Boise, Idaho. Working for 10 years in all areas of residential construction, here focus was high end custom home construction. Diane was appointed by the Boise City Mayor to consult on the reorganization of the City Building Department, and held positions on state and NAHB committees. 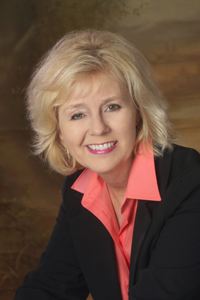 Diane is a past President of the Building Contractors Association of Southwestern Idaho. Diane has been featured in Builder magazine, Builder/Architect magazine, and Big Builder magazine, as well as several local and state publications and has been featured on local talk radio programs. Diane has also been a guest speaker for various organizations, has lectured at schools and builder seminars. As owner of CONSTRUCTION CONSULTANTS OF WASHINGTON, Diane brings this knowledge and expertise to Seattle's growing construction area to meet the needs of the contractors seeking greater quality and construction practices by offering in-process quality assurance inspections, special inspections, and builder consulting services and training. Diane is a member of the Master Builder's Association of King and Snohomish Counties and serves on the BIAW board of Directors. She served as the MBA's Education Foundation President in 2003 and 2004. Diane is the residential and multi-family representative on the Washington State Building Code Council. In addition, Diane provides training/seminars for the Built Green Program for Builders, Superintendents, Project Managers, Management, Sales and Marketing Personnel, Code Inspectors and Building Officials. Diane has participated on radio programs such "Home Talk" on KNWX Radio, Seattle. She also conducts seminars at "The Seattle Home Show" for education to the public. "The Moisture vs Energy Code Balancing Act"
(monthly article "Field Talk") for 3 years.